Sukanto Tanoto is a billionaire entrepreneur who runs one of the world’s largest resource-based manufacturing management companies, RGE. The company, which he founded and of which he is chairman, manages industry giants such as APRIL, Sateri, and Pacific Oil and Gas. His companies collectively employ over 60,000 people worldwide, and holds assets worth over US$ 18billion. More impressively, he has taken a benevolent approach that has become characteristic of his businesses, running his resource-based companies with an eye on sustainability. Considering that he first began his entrepreneurial journey 50 years ago, his belief in sustainability becomes all the more impressive. In Sukanto Tanoto’s book, sustainability is multi-faceted. Besides ensuring his companies only employ responsible production methods, he also deeply believes in a need to create value for the communities in which his companies operate. It is a philosophy that moves beyond just a tagline, and has resulted in serious action taken by his companies. 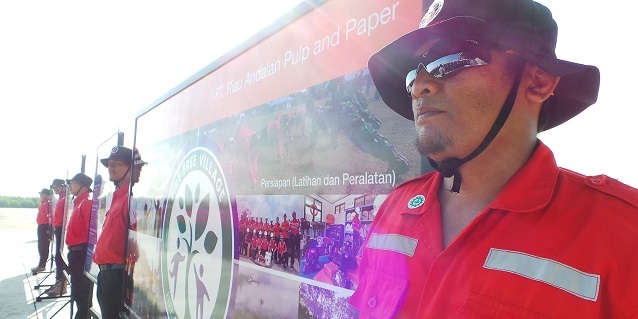 Pulp and paper giant APRIL, whose production is based in Indonesia, has been a leader in tackling the problems of fire and haze that have affected Indonesia. Most recently PT RAPP, APRIL’s Indonesian subsidiary, reaffirmed their commitment to tackling the fire problems when their latest batch of fire fighters completed their training with Batalyon Komando 462/Pakhas from the Indonesian Army National Air Force. Based in Pekanbaru, the battalion is one of Indonesia’s finest and toughest, and is tasked with ensuring the security of the region. Their mental toughness, discipline, and fortitude are important qualities required in fighting fires as well, and for that reason, APRIL has sent for the eighth time, their fire-fighters over to train in a bid to build up these qualities in their personnel. Sukanto Tanoto’s APRIL, clearly, is serious about their role in providing help for the community.